You lost your iPhone with saved important data inside, making you grim about how you can protect from unauthorized access, or access from third party device. On all online forums, tech giants are forwarding guide on how to find lost iPhone with Find My iPhone app or using iCloud or Through IMEI. But the solutions are not work on lost iPhone is offline or Find My iPhone off or Disable. Take below quick action on special incident recommended by apple officially on support site. 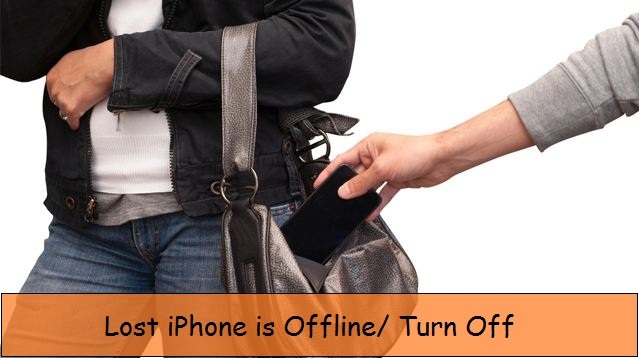 Most of the thief or cheat iPhone keep your iPhone switched off for quickly shut down all the location tracking services or Carrier trace system. These are the possibilities from people are suffered. But still you have options to take action on these types of situations. Offline means no internet connection, so there is not any kind of interaction between iPhone and Apple. You can mange device as a pending request when iPhone comes online. Action should be taking from Lost Mode, lock it and remotely erase it. Find my iPhone disable for the device in your iCloud account or never activate at before. So you can’t take action for remotely erase data, current location on Map or send warning message on screen. 1, Change your apple ID password, prevent lost your contacts, iMessage or saved data in iCloud. Using iCloud Web. 2, Also change other social or mail profile password. 3, Report to the local law enforcement about your lost or stolen device. That will take action through your device serial number. 4, also report to the carrier for stop all types carrier service, before call, text and data use. Above are the limited resolution and recommendation from apple for now, for the lost iPhone is offline/ switched off/ turn off stipulations.